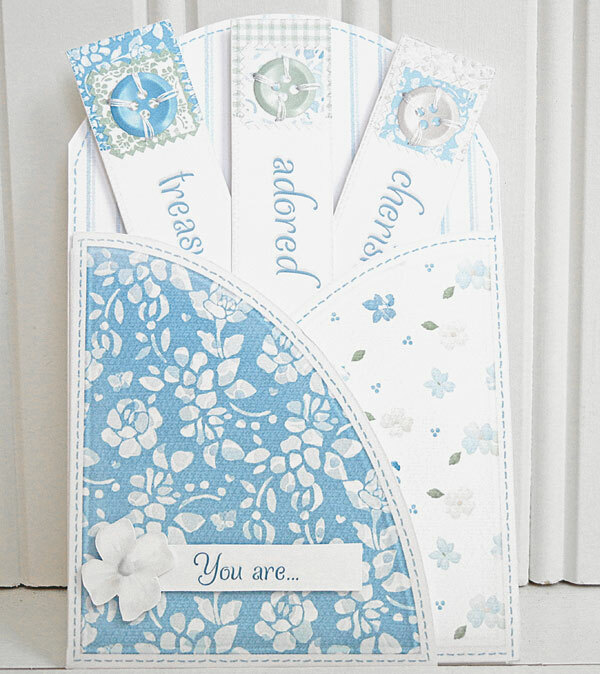 "Pocketcard" Hybrid is an easy and attractive card that you can insert the tags included, a personalized note that you write, or maybe a little bunch of candies for your sweet! All you have to do is to download, print the sheets, cut and assemble. Add a bit of your own ribbon, flowers, or a button to the front for an even more customized look! Completed pocketcard is 5 1/2 inches tall by 3 3/4 inches wide, so it should fit into most standard size envelopes. 1 Template sheet (already covered with the paper) with instructions for cutting and assembly. Recommended paper weight for this project is 61 lb or 230GSM.